Ever wondered how tall a tree is? If that tree were to fall, or be cut down, what would it hit? With Timber tree height estimator you can now easily estimate the height a tree. After you measure the tree Timber will display the height and a red circle on a map to show you an estimated area of where the tree would fall. Timber doesn't only measure the height of trees. It will give you a good estimate of any object you want to measure. To use Timber you set the GPS position of the tree that you want to measure. 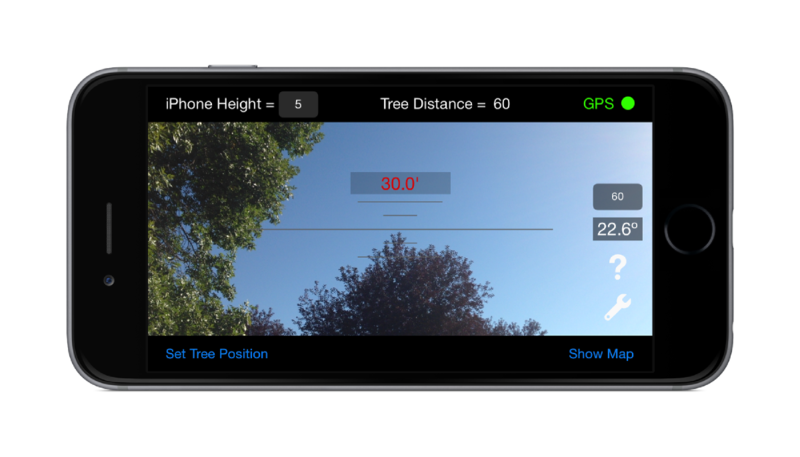 Then walk away from the tree and use the app to measure the angle to the top of the tree. Timber will then calculate the height of the tree. You can also set, or adjust, the position of the tree and your current location on the map. This comes in useful if you have a poor GPS signal or if you can not get to the tree to set the position.